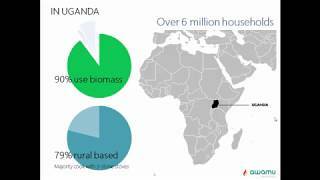 Awamu Biomass Energy social enterprise that is disrupting the renewable energy industry by manufacturing clean cooking gasifier stoves and biofuels in Uganda. I am a social entrepreneur, Rotarian, Hepatitis activist and Kids football coach. Was born and raised a Christian, I love adventuring and outdoor sports though I enjoy chess too! I mostly watch cartoons and comedy.